It’s rare that we get to introduce one of the first Taskers in one of the cities where we operate, let alone a country. But with so much international expansion on our horizon, we thought it’d be fun to introduce Tasker Nick W., who was one of the first Taskers in London—our first international city! Nick started tasking in 2013, when TaskRabbit was first making its leap into the wider world. Since then, he’s made a career for himself, having done over 500 tasks and gaining 99% positive reviews. What has he gained from it? Read on to find out! What’s your most rewarding tasking memory so far? My best memory so far is one from the very beginning, when I had the chance to help launch TaskRabbit in London. It was a cold winter in December of 2013, and I spent a good 1-2 days driving around to large companies with gifts and merchandise from TaskRabbit. What sets TaskRabbit apart from other gig economy platforms, in your opinion? 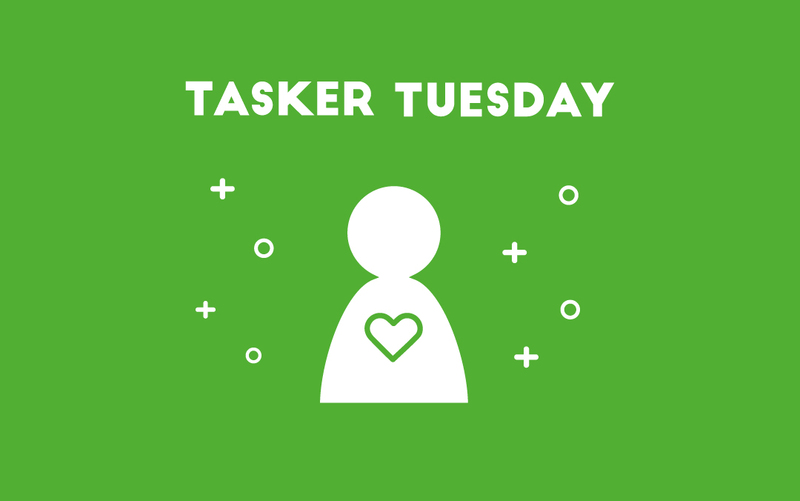 I’ve done over 500 tasks and met so many amazing Clients, but if there’s one thing I’ve noticed and like the most about TaskRabbit, it’s the good energy—the network really does seem to attract nice, open-minded Clients. There’s no sense of “I’m your boss! Just get on with the work, and I’ll pay you at the end!” I’ve made multiple genuine connections with Clients, which has been very rewarding. What have you learned since being a Tasker? TaskRabbit has allowed me to become more of a project manager than I was before. I have so many tasks under my belt that I now feel as if I could guide other Taskers through some of the tougher obstacles I’ve come across, particularly with handyman tasks. Having this knowledge—and the confidence that comes with it—is a great feeling! What values do you try to live by? Be happy, be honest, and respectful. 95% of the time, you’ll get that returned right back to you. What’s a bonus you’ve experienced as a result of tasking? I’ve done jobs all over London, so I now know the city like the back of my hand! It’s definitely beneficial when I am trying to navigate around town. What’s the best advice you have for new Taskers? Just to do your best, regardless of whether you’re having a bad day. Every task is completely new and different from the last. You can’t always compare them, which means there’s always a good chance you’ll gain experiences that are new and valuable! London was the beginning of our global expansion five and a half years ago, and very soon, we’ll be expanding our network even further. We can’t wait to have more Taskers like Nick join our platform and continue to spread the positive energy we’re aiming to share with the entire world!